Give your clients a support plan they can fall back upon. It is not just about great web applications. At Complete Cloud we give you web application support plans that you can rely upon. With growing competition, it is highly important to give your users an enchanting experience so that they love coming back to your website. Our technical support team ensures you are never alone and you can stay at peace with our cost effective web application support plans. Reach our friendly customer support team 24X 7 over phone, email and chat. What is Web Application Support and Maintenance? Is your business effectiveness/productivity important to you? What does support and maintenance cover? From problem solving, optimising to getting the latest security patches, our support & maintenance plans cover all. Our online and offline training courses help you get the knowledge about how you can get the most of web applications! We troubleshoot and resolve any problems, bugs or errors you have with any of your applications. If your website is not optimised with the end customer in mind, they may not be able to find the information they need and they will go to one of your competitors (the next link in Google). We can help with structuring, navigation and page design to improve customer experience. We monitor websites scanning for any possible issues and identifying them as they occur, long before you or your customers are aware of them. We ensure your systems are up to date with the latest security patches to prevent malicious attacks and hackers hijacking your website or accounts. At Complete Cloud we give you the flexibility to choose your desired package plan. 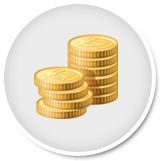 Go for pay-as –you- go plans or opt for any of our customised support packages. This option is great for customers with a small application or user base who just require ad hoc assistance. You get the same quality of support services just without the discountes or pro-active support and monitoring services of the monthly plans. Do you want to try us out and see how we can help you? Test us out on our pay as you go plan before you sign up to our monthly support and maintenance plans. 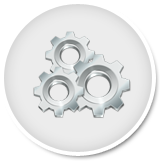 Our support and maintenance plans are designed to keep your web application running smoothly for your business. We proactively ensure your application is online and performing to the expected level. We can also suggest improvements to your application to help you improve your business. With our support plans you get a value for money paying up to almost half of the pay as you go support rates and can receive bonus hours. Our team can support you any way you like. You can call us on 1300 736 60, you can email us support@CompleteCloud.com.au, you can chat with as at any time or you can login to our Support Centre with your secure client login and create a new request. View the status of all your current and previous requests and track all activities related to your services. At Complete Cloud, provide you excellent professional support and maintenance. We understand your business and help you achieve the most of your business goals. Our key strength is understanding how technology can help you in your business rather. We won’t speak technical language that you won’t understand, we will speak in business language relevant to your business. 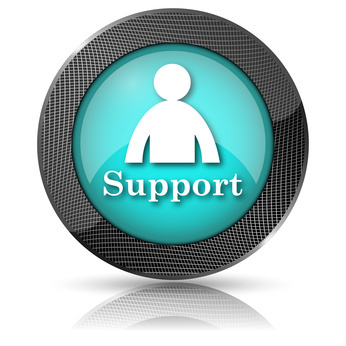 We have a simple support processes and we keep you informed of all support activities and progress. We have trained professionals in every area from hosted email, website hosting, online marketing, websites, online stores, and application development. Don’t bounce around between multiple companies to support your online activities; at Complete we can make your life easier by supporting all of them. Our highly skilled support team is available 24×7 and can resolve any of your online issues, we make your life easy, why go anywhere else?